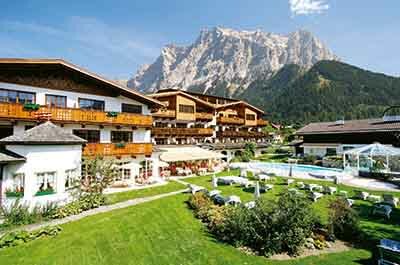 You step out onto your balcony and breathe in the crisp mountain air as you take in the glorious views of the Zugspitze. 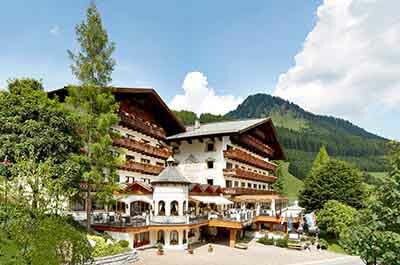 You are taken aback by the magnificent location of the Schlosshotel Fiss, they weren’t kidding with the claim that they ‘redefine the meaning of located on the slope’. Work is busy, your brain is busy and life in general is busy. You’ve been struggling to eat healthily while life is so demanding, so you book a week away – a week for your body, mind and spirit. The evening sun casts a glow over the mountains, the magnificent scenery invites you to stop and admire, you enjoy the pure, exquisite peacefulness. 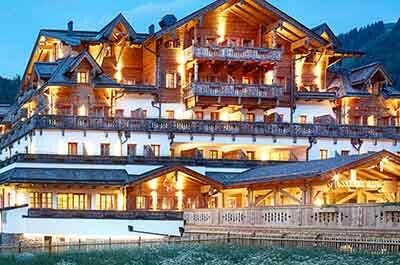 You step inside the welcoming GROSSARLER HOF, a sanctuary of Austrian warmth, style and individuality, leaving your cares behind. 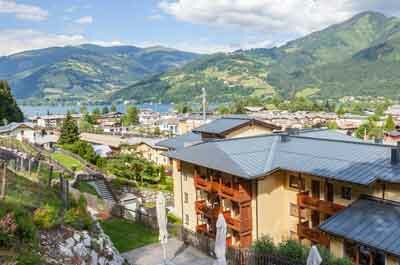 You breathe in, indulge in crystal-clear air at over 1,300m altitude and instantly feel the glory of Tyrol. 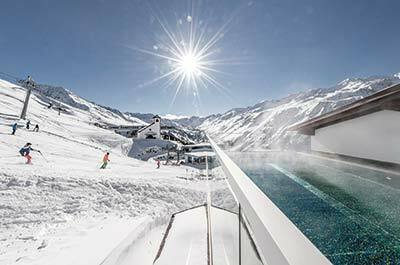 This family-owned Alpine hideaway effortlessly combines Tyrolean hospitality and fabulous food with simply stunning panoramas. 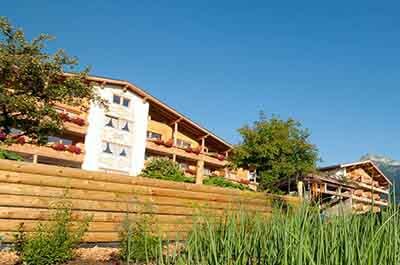 You are drawn to the Pirchner Hof and the teachings of Hildegard von Bingen, particularly their maxim ‘nurture life wherever you find it’. From the moment of arrival you are enveloped in tranquillity, and feel truly nurtured. 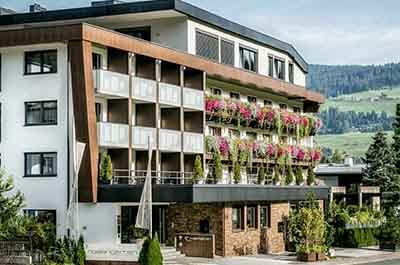 You arrive at SPA-HOTEL Jagdhof and you're instantly enveloped in warm Tyrolean hospitality. 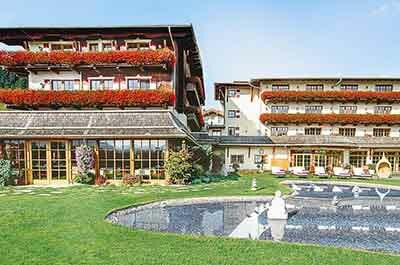 Located in the picturesque village of Neustift, surrounded by glorious mountains, the SPA-HOTEL Jagdhof exudes Tyrolean luxury. 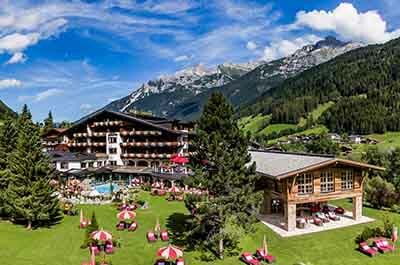 You are welcomed to the Happy Stubai in Neustift with fresh mountain air and glorious Alpine scenery. 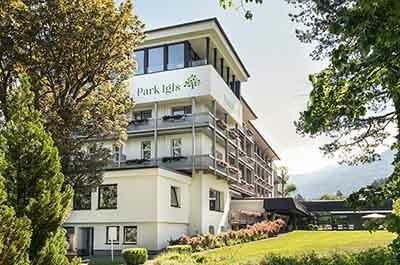 This charming hotel offers fantastic Tyrolean hospitality; you instantly feel welcome and excited for your stay. 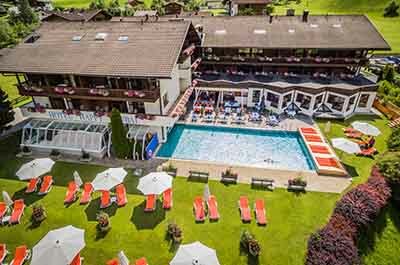 The sports and family hotel Sporthotel Alpenblick is the ideal location for family holidays in the great outdoors. 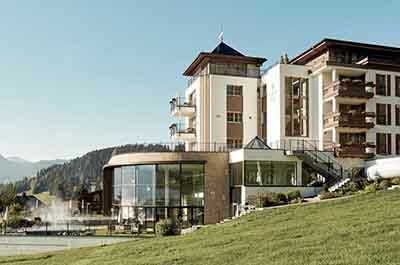 After dreaming about breakfast, lunch and dinner every night, you eagerly arrive at the Rosengarten, wondering what delicacies will greet you. You sip your tea and look out towards the Alps, you’ve never breathed air this fresh or taken time to watch the shadows of trees dance in the cool mountain breeze. Here, you feel at ease, your spirit content. You stroll through the blooming rose garden, inhale the sweet scents and exhale your cares.